1. What is RZIM’s Church affiliation or denomination? The Ministry of RZIM is inter-denominational and our staff represent a variety of denominations. According to the American Heritage Dictionary, apologetics is “formal argumentation in defence of something, such as a position or system.” A Christian “apologetic” is not an apology as we usually use the term, that is, to say you are sorry for something. We use the word “apology” in the sense that we give a defence of the Christian faith. Apologetics comes from the Greek word “apologia”, “to give an answer.” 1 Peter 3:15 gives us the defining statement: “But in your hearts set apart Christ as Lord. Always be prepared to give an answer (apologia) to everyone who asks you to give the reason for the hope that you have. But do this with gentleness and respect.” The Scripture does not divorce the content of apologetics from the character of the apologist. The apostle Peter, under the inspiration of the Holy Spirit, knew the hazards and the risks of being an answer-bearer to the sincere questions that people would pose of the Gospel. For that very reason the Scriptures give us a clear picture of the apologist: one who has first set apart Christ in his or her heart as Lord, who then responds with answers to the questioner, and does so, with gentleness and respect. 3. How can I Book a Speaker at my event? To extend an invitation to our RZIM India Speakers, please click here. 4. How is RZIM Life Focus Society funded? 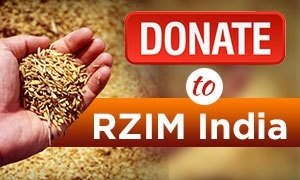 RZIM Life Focus Society is entirely donor-supported. Learn how to support us here. 5. How do I support RZIM? Learn how to support our efforts here. 6. Does RZIM accept online donations? 7. Where is RZIM Life Focus Society Located? We are head quartered in Chennai and also located in Mumbai, Delhi and Shillong. 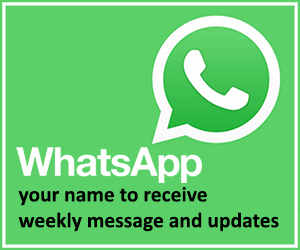 Please click here for our contact details.